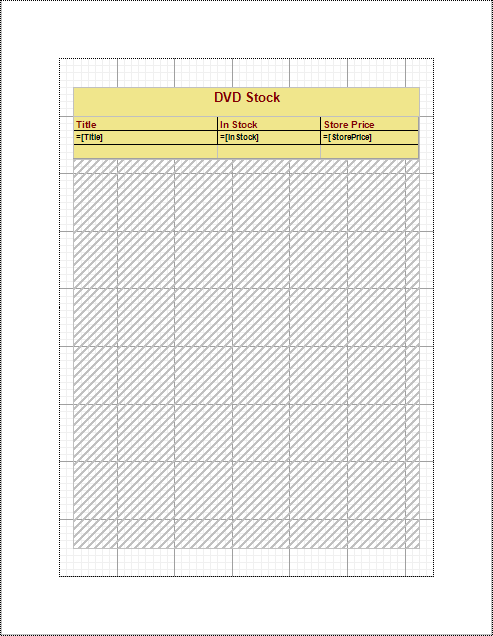 A Page Report, allows you to create a layout at design time on a single page tab and apply it to the entire report. Designing a layout in this format gives you the advantage of creating a layout that appears exactly the same at design time and run time. This walkthrough illustrates how to create a report that contains a single layout and preview it. 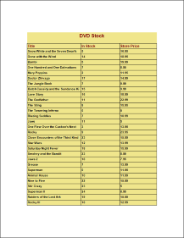 This walkthrough uses the DVDStock table from the Reels database. By default, in ActiveReports, the Reels.mdb file is located at [User Documents folder]\GrapeCity Samples\ActiveReports 13\Samples\Data\Reels.mdb. Notice that the run time report layout below is similar to the one you see at design time except for the data which you see at run time or when you preview the report. In the Add New Item dialog that appears, select ActiveReports 13 Page Report and in the Name field, rename the file as rptSingleLayout. 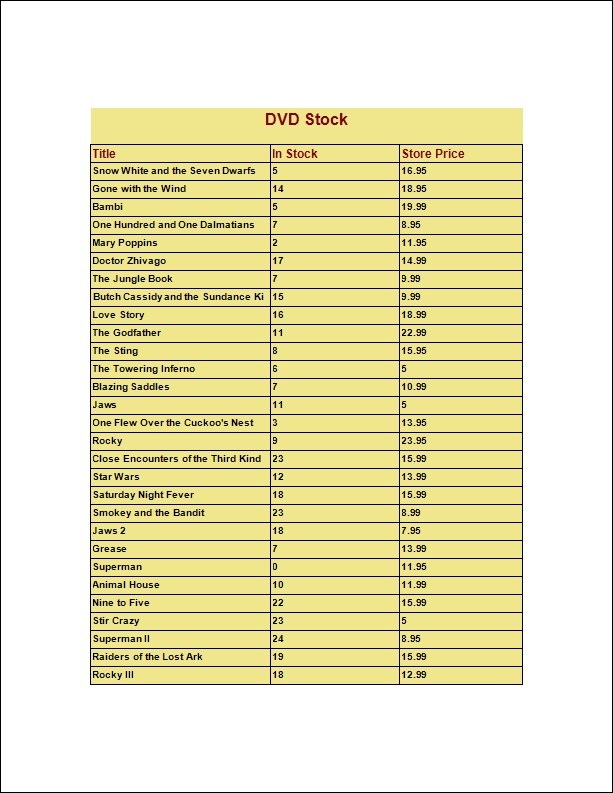 In the DataSet Dialog that appears, select the General page and enter the name of the dataset as DVDList. This name appears as a child node to the data source icon in the Report Explorer. In the Visual Studio toolbox, go to the ActiveReports 13 Page Report tab and drag a TextBox control onto the design surface. Select the TextBox control and go to the Properties window to set the following properties. From the Visual Studio toolbox, drag a Table data region and place it on the design surface. Select the Table and go to the Properties window to set the following properties. 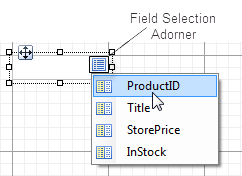 In the Table data region, place your mouse over the cells of the table details row to display the field selection adorner. Click the adorner to show a list of available fields from the DataSet and add the following fields to the cells of the table details row. This automatically places an expression in the details row and simultaneously places a static label in the header row of the same column. Tip: You can also directly drag fields from the Report Explorer onto the textbox cells of the Table data region. Select the following table rows and go to the Properties window to set their following properties.